Only four State Qualifiers return in the Class 4 Boys 1600m, with two of them being medalists last year. They'll be breathing a sigh of relief with Ryan Riddle and Ben Stasney now both having graduated. However, I still think we are in for a barn burner finish amongst the top runners. 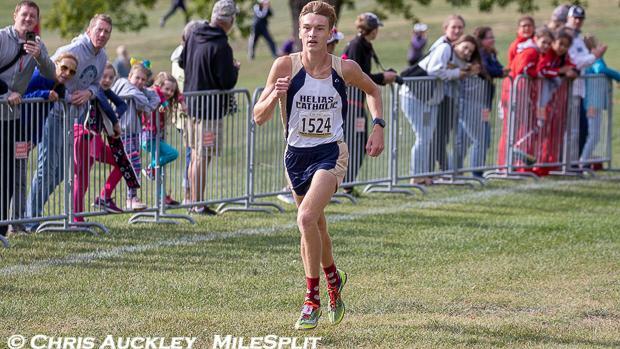 Jack Crull of Helias Catholic is the top returner and the favorite to win it coming into the season. He placed third last year in both the 1600m and 800m with a 4:17 and 1:55 respectively. He also just recently placed third at State in XC, so he'll have plenty of experience to draw on here. He'll have to fend off Class 3 State XC Champion Max McDaniel to win it though. McDaniel finished behind Crull last year in forth with a time of 4:19 and will look to build upon that this year. Class 4 XC Runner Up Clayton Whitehead could also be a major factor in this race, as he owns a 4:25 PR but didn't really breakout until this XC Season so I think he may have sub 4:20 chops. Below you can find my subjective rankings and honorable mentions.